A patch containing dansyl chloride is applied to the forearm skin surface. Next, standardized digital photographs are taken with the Visia-CR® imaging system. The photographs are repeated, at pre-determined time intervals, until the fluorescence disappears. 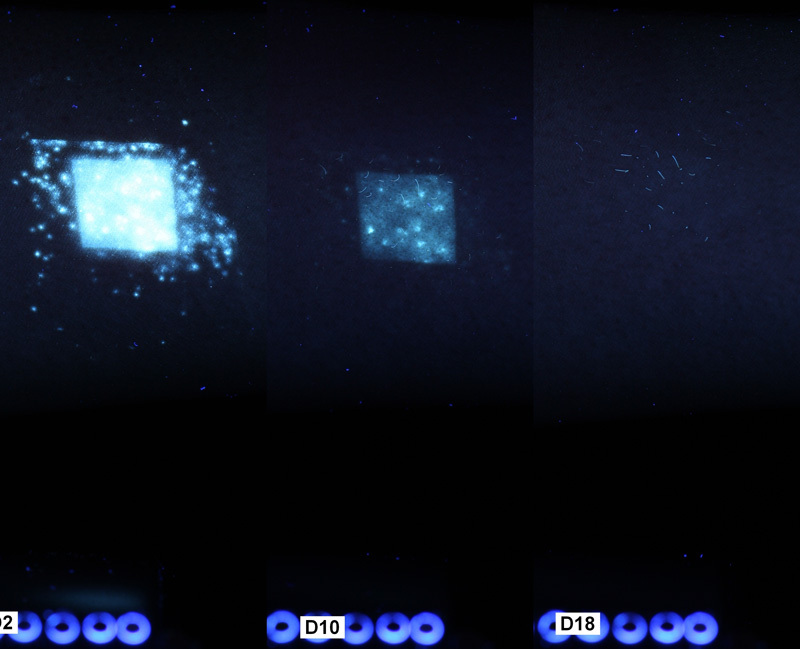 The renewal of skin cell layers is observed by the disappearance of fluorescence. Fluorescence analysis is performed by an imaging software directly on the captured photographs to quantify the skin cells renewal.